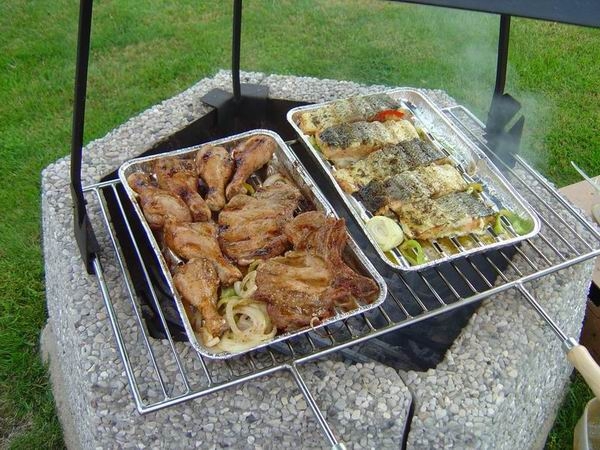 In the corner of the garden, we have prepared stylish sitting, garden grill, fire, fire grates and grilling spikes. For a small fee, there is charcoal available for our visitors or firewood. 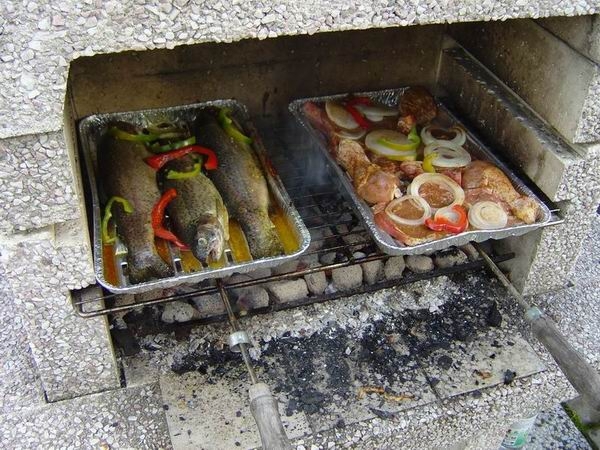 Upon request we can prepare for a grill or fire sausages, skewers or a trout, including marinade, mustard, ketchup, pastry or vegetable trimmings. 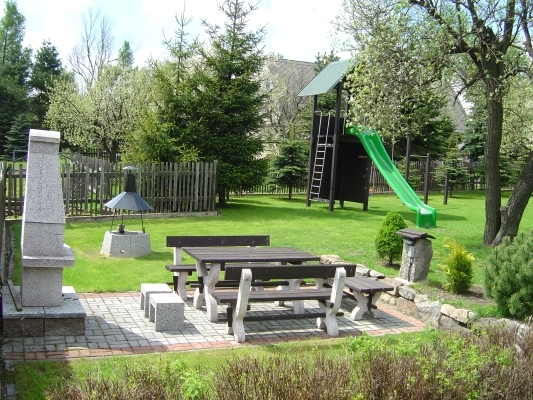 In the garden we have prepared for children a small and big slide, swing, rope for climbing, small and big crossbars. 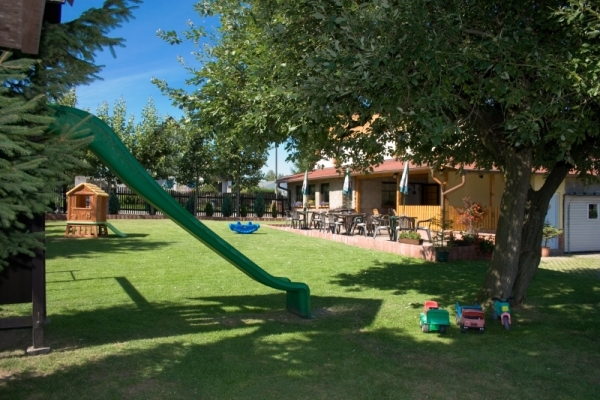 Able-bodied children can climb on the slide's start on a small rock-climbing wall. Grass surface in surroundings is suitable for other children pleasures. 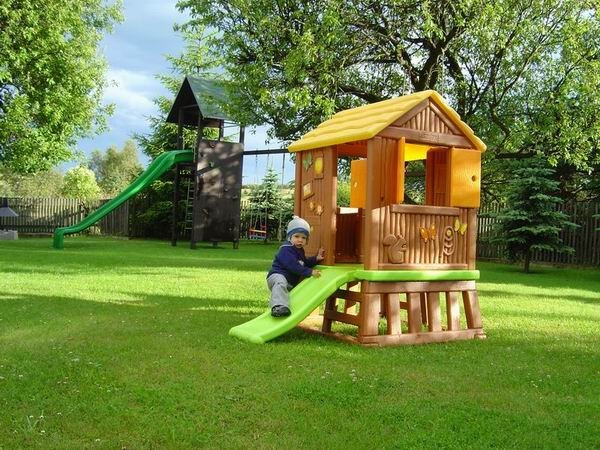 Children's safety is insured by placement of the playground in the garden, which is separated from the road by wooden and hedge fence. Picture gallery - back-garden Na kovárně Tisá. 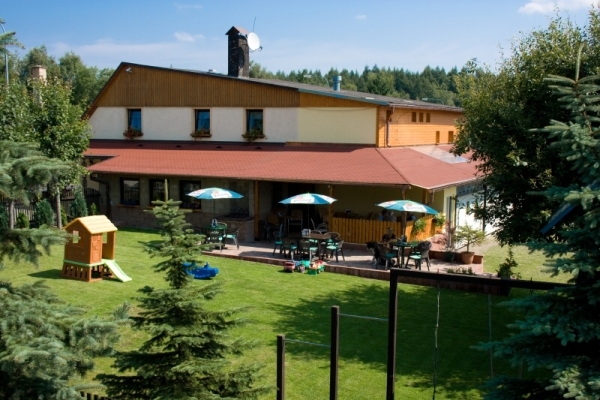 the Na Kovárně gueshouse ?